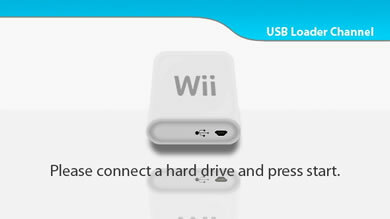 Nintendo USB Loader GX or simpley Wii USB Loader download. 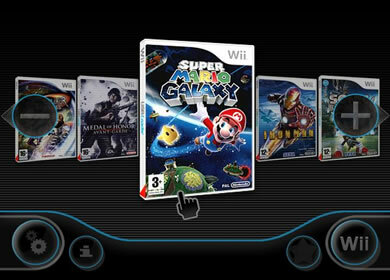 Install homebrew channel on Wii and play backup iso files or downloaded torrents from external hard drive or usb flash drive. Wii iso USB Loader Channel used to be compatible only with wbfs - Wii Backup File System, but now it works with normal NTSC formated external hdd to Load wad usb gx loader 5. iso hdd loader without modchip on Wii that has a softmod or hardware drivechip mod chip from Wiikey modchip factory. Wiikey Homebrew cover for waninkoko USB Loader is the best thing that has happened after WHBC was inveted - usbloader wad gx has been made as pretty as iPhone / iPod album browser. To sum up, first you have to run the cIOS Installer on an offline or online connection. Second, run the USB Loader which will format your USB device and thus will prepare it. Third, as your USB drive is ready after formatting, you can add your legal backup collection to it. You have two zip files; extract/unzip their contents in separate folders. There is a .dol file in each of the two folders, rename both the files to “boot.dol”. Remember to put the “IOS36-64-v1042.wad” file into the "cIOS36_rev9-Installer" folder if you are using an “offline” connection. New version of the HDD USB Loader that is compatible with WiiU consoles. cIOS compatibility still has to be sorted out, but the good news is that it does work and you can lounch games.